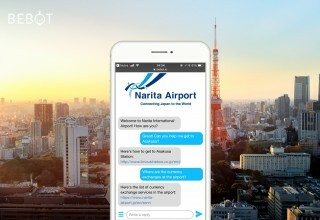 TOKYO, November 7, 2017	(Newswire.com) - ​​Narita International Airport Corporation and Bespoke Inc. announce the launch of AI chatbot service Bebot to assist passengers in obtaining information of airport services, facilities and transport links. 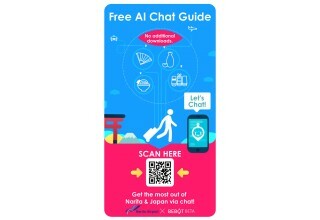 The free AI Chat Guide (beta) will be available for free to passengers from November 14, 2017, and will be accessible via any browser without the need for any additional downloads. Bebot, known as Japan’s first hotel chatbot, is already available as a concierge service in all branches of Granbell Hotel across Japan, at Holiday Inn, and various other locations. 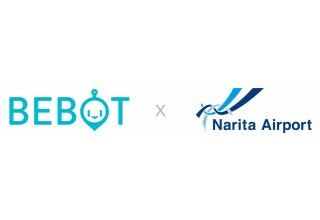 As the country seeks to overcome linguistic barriers for the increasing number of visitors, Bebot will now be made available at Japan’s busiest airport, which handled over 39 million passengers in 2016. 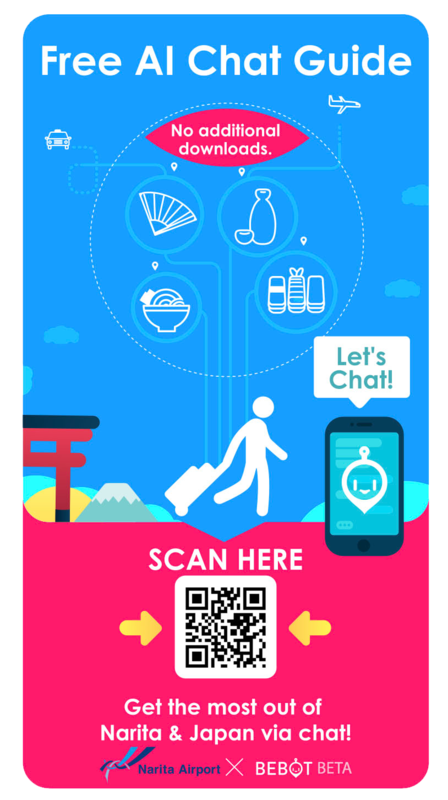 Passengers will simply need to scan a QR code to gain access to Bebot and get the most out of their trip to Narita and Japan via chat. 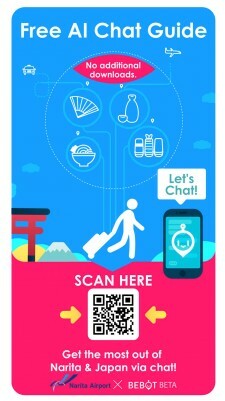 The QR codes will appear on posters and stickers in various locations around Narita Airport. Users will simply need to verify themselves by either sharing their location or entering their flight number to begin chatting. We are committed to making travel in Japan as convenient as possible for our passengers, and by providing AI technology we will put access to information in the traveller's fingertips. Services on offer will include assistance in locating airport facilities and services, as well as vital information on transportation options to and from the airport. Bebot will no longer require a code for access, but will instead allow passengers to use its services freely. Its interface can be accessed on any device, including iOS and Android. 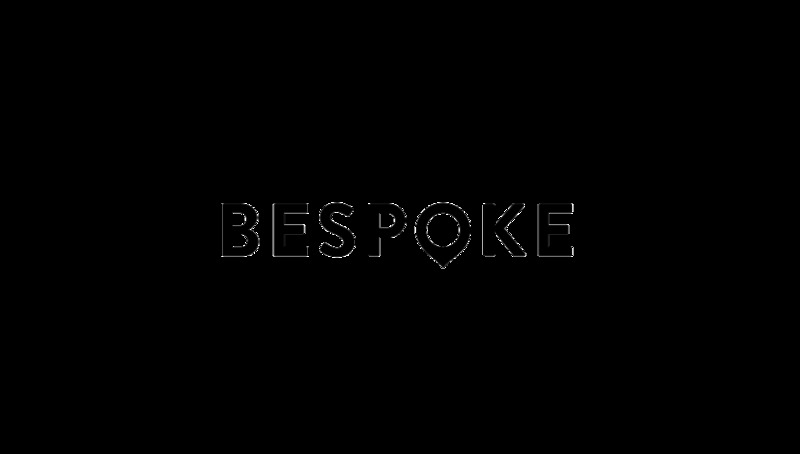 Bebot’s AI technology has been developed using both human chat services and AI developed by Bespoke Inc. Users can make requests for recommendations or ask specific questions related to their travel experience by chat, and receive tips, directions and reviews without leaving the chat screen. First released in Aomori in April 2017, it was then launched in Osaka in June, and across Japan with Granbell Hotels in August. Establishments that use it can also customize their own FAQs to make sure guests always have the correct information in their hands. 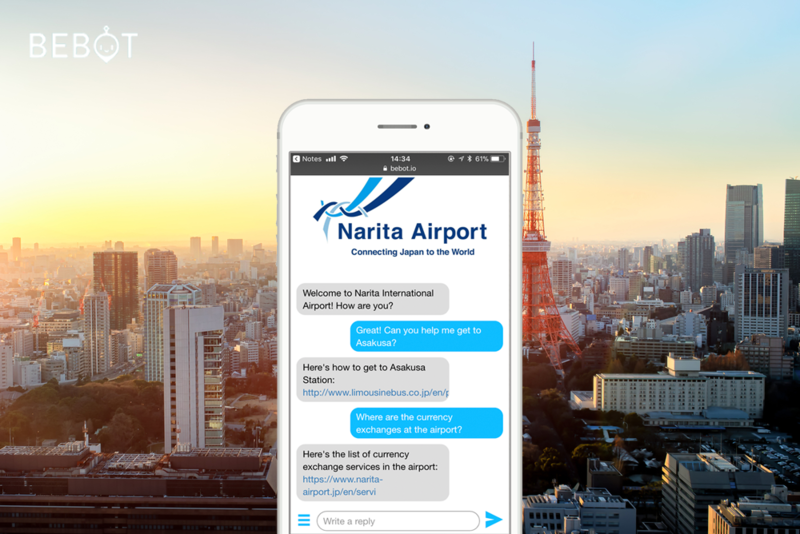 With the launch of Bebot at Narita Airport, Tokyo’s main international airport, the use of AI technology by regular consumers and travelers is set to significantly expand in Japan. “We are proud to be able to extend our services to Narita Airport. As more people from abroad choose to travel to and explore Japan, we want to make discovering this country as easy, convenient and fun as possible, and hope to continue to develop Bebot into your personal concierge in your pocket for all your travel needs,” said Bespoke Inc. CEO Akemi Tsunagawa.